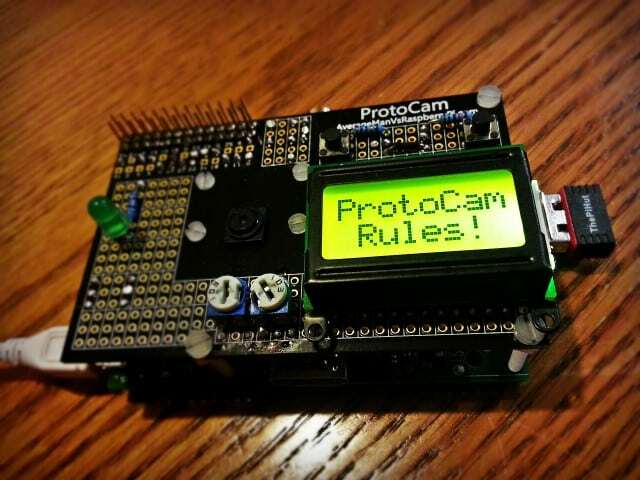 I’ve been working on making a Raspberry Pi Time Lapse camera out of my 8×2 display ProtoCam board that you may have seen me recently blog about. 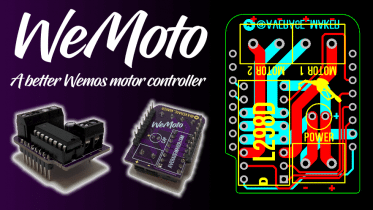 A few weeks back I attended the Croydon Raspberry Jam to do a bit of a ‘Show & Tell’ stand, and I brought this project along to test if it works, and obviously show people what I had made. Now usually when making a time lapse camera out of a Raspberry Pi I would use the ‘raspistill’ command with the ‘-tl’ section to take snaps every X seconds – just like I’ve showed you before. However I’ve taken a different approach this time as I wanted my code to perform an action in between each shot. 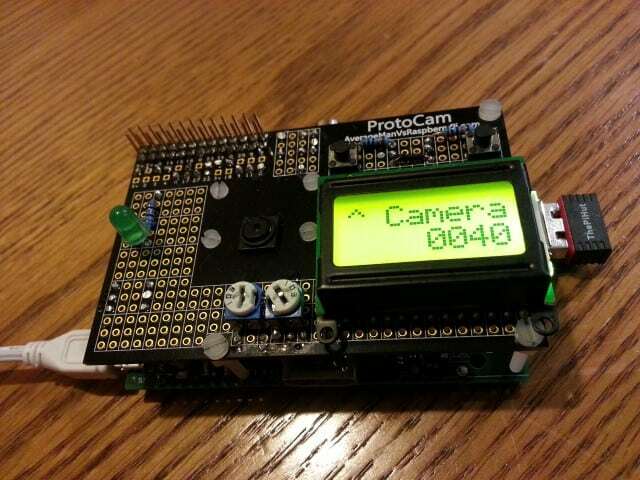 For a different, simple method of performing time lapse photography with the Pi – read on! Why Change What Already Works? If you’re wondering why I’m not just using the usual time lapse function in the ‘raspistill’ command, let me explain the project. The project is a simple menu + button system that lets you start the time lapse command that has been pre-set in the code. However, the key thing here is that I want the display to show the number of images taken at any given time. To do this, I have to set an action after each picture is taken, to update the number shown on the LCD, then take another shot. Its very simple, and almost a bit of ‘barbaric’ coding some might say. Here we create a variable called ‘var’. It starts at 0, and every time this loop cycles, there’s a line at the bottom of the script section (not in this section) that adds 1 to var. We use this to set a maximum number of shots for our scenario – in my case I worked out that the day would take about 840 shots, so I added the ‘while’ line for that. In this section of the code, we run a command to count the number of files in the directory, which we will later show on the LCD. You can see from the # notes that the command returns a string and we turn it into ‘i’. Unfortunately this number is followed by a character that I don’t want to show on my LCD. To get around this, I use the [0:-1] after the string name to chop one character from the end of the string. You can can also chop characters from the front using this as well. Lastly, we use ‘zfill(4)’ to turn that string into 4 digits. I’m not talking through the whole code here – I just want to show you how this particular part works. 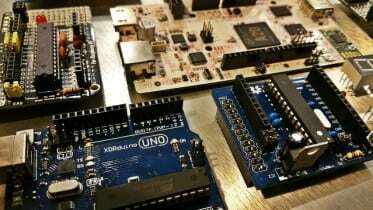 If you want to learn how to programme an LCD, there are a lot of tutorials on the web, and I’ve even written one or two myself. The first two lines drive the first line on the LCD, and the second two control the second line. The first line will simply show “T-Lapse” (I’ve only got 8 characters to play with remember), and the second line shows our-digit ‘imagecount’ string. This last section lights the LED on my board, takes the picture, then turns the LED off. I did this to give me an easy way of seeing if the camera was working…..plus it was a good excuse to add more to the board! The first 2 lines here grab the date and time, and then turn this date/time into a string to use as the image filename format for our image files, and even includes the ‘jpg’ part for us. This method is a good way of tracking when photos were taken, and also avoids duplication in filenames. Lines 4-6 take the photo using ‘raspistill’, with the LED controlled either side of it. You can see in the code where we’ve adopted the ‘filename’ string to use as each picture’s file name. Lastly in lines 7 and 8 we add ‘1’ to var as I mentioned earlier, and then get the Pi to take a rest for 25 seconds before looping back round and checking if var is 840 yet. This gives us the time between shots that gives us that time lapse effect when we compile the images together. I’ve concentrated this blog on showing you the specific section that controls my Raspberry Pi time lapse camera, to help give you ideas on how you might use this to run some kind of actions between images. Anything else you see in this post is very likely to be covered in my other posts. As always, if you have any questions, contact me! 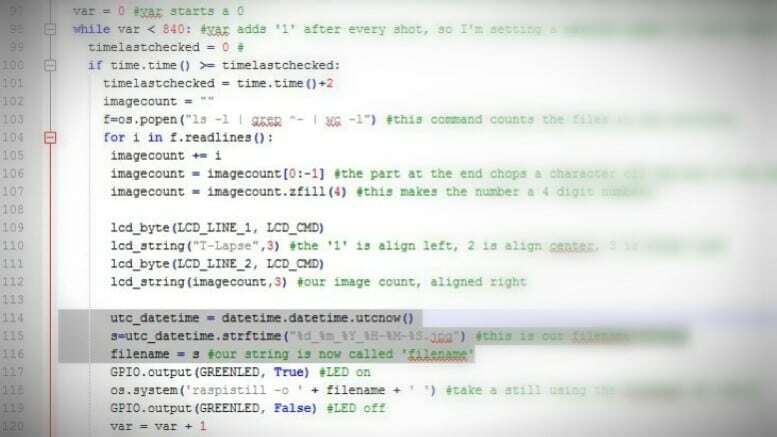 Be the first to comment on "Raspberry Pi Time Lapse Code Example"